WooCommerce Google product feed plugin generates a feed for Google merchant center, promotions, dynamic remarketing (DRM), dynamic search Ads (DSA), local products and inventory. 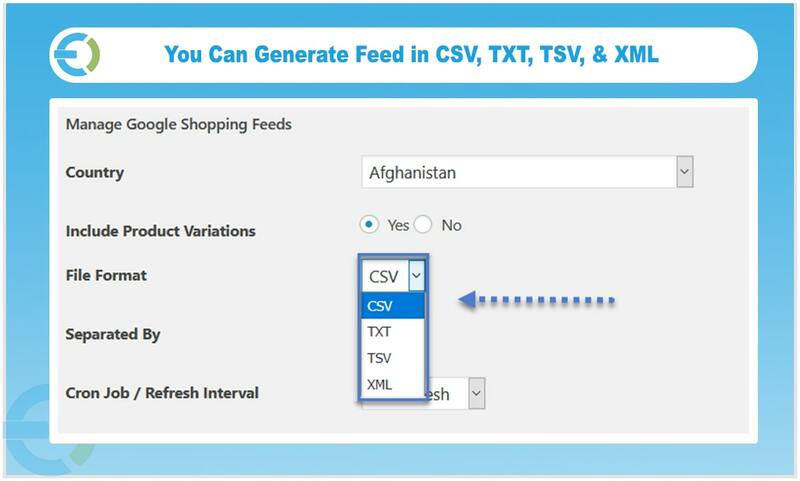 You can generate feed in different formats such as XML, CSV, TST & TSV and include the product variations as well. You can schedule Cron Job to auto update the shopping feed for newly added products on your e-store. Map the product attribute fields based on Google policies for the country you want to display products. 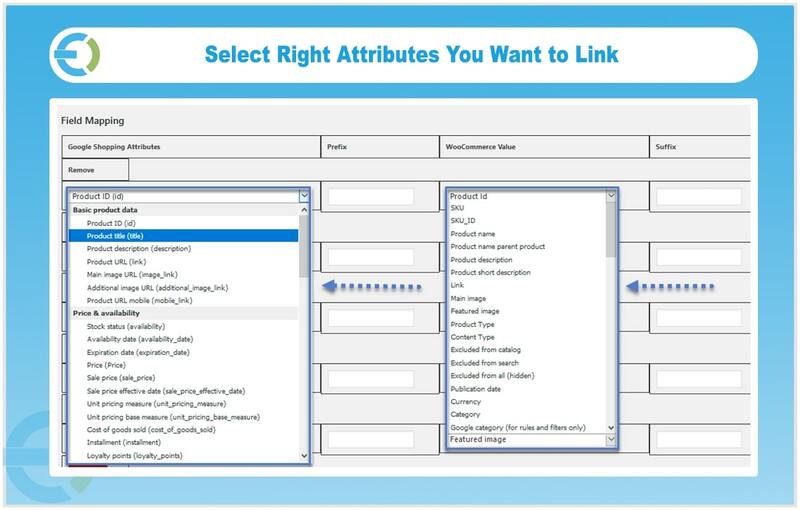 Associate categories with Google category attributes to display your products to the right audience. WooCommerce Google shopping feed let you display products to your previous website visitors in Google Ads. With WooCommerce Google shopping feed plugin, you can generate Google local product feed as well. 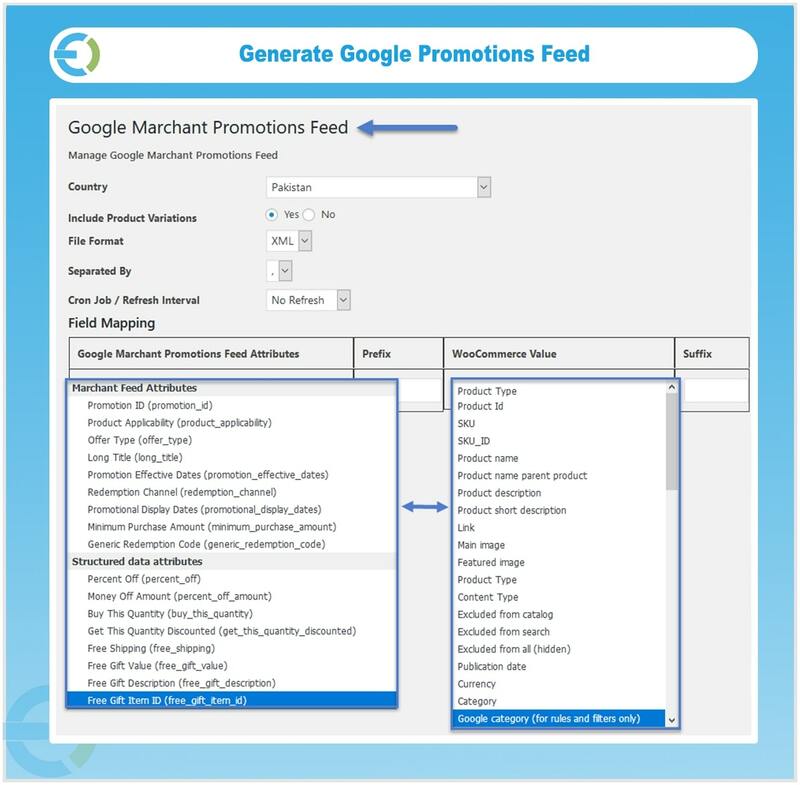 WooCommerce Google merchant feed plugin helps you to generate Google local product inventory feed for merchant center. 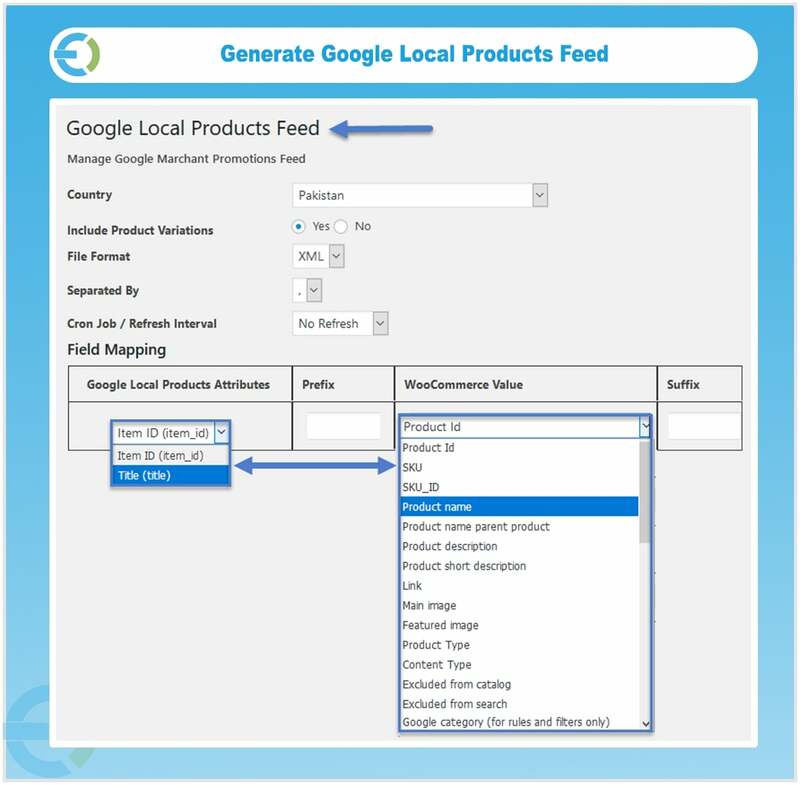 This plugin allows you to generate the feed in four file formats such as XML, CSV, TXT, & TSV. WooCommerce Google product feed plugin enables you to display variable products in Google shopping platform. Cron Job automatically updates new products in Google shopping center that you have added to your e-store . You can also schedule Cron Job on hourly, twice a day, or daily basis. Map the product attribute fields with Google product IDs carefully because Google has specific rules for each country. You can map your products categories according to Google’ shopping categories as well. It helps you to display your products under the right category in Google merchant center.